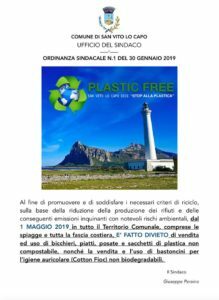 Thanks to our wonderful audience who took the time to listen and sign our petition, and thanks to our amazing staff who worked hard to collect signatures, the mayor of San Vito Lo Capo has now banned sale and use of all disposable plastic, plastic bags and plastic cotton swabs as of May 1st, 2019. We could not be happier! Thank you to the mayor Giuseppe Peraino and to all the partners who continue to support us! 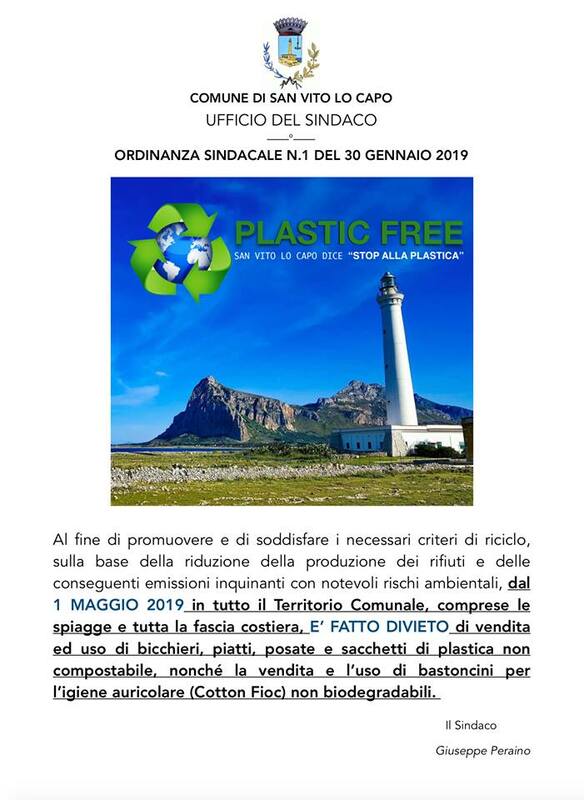 We will see you this summer, finally #PLASTICFREE! !